Free Proxy List : Are you safe with the unencrypted free proxy list? When employees are using the company network, usually they come across certain restrictions by the company. Well, that is pretty obvious, don’t you think? Otherwise, one might easily misuse the network facilities of the company. E.g., you may access your Facebook accounts, watch live sports, or even download large movie files. Thus, in most organizations, there are provisions for tracking and monitoring the online activity of the employees. Hence, a company has a proxy setting in place, which helps the company to control employees’ internet access. In such a scenario, the free proxy list helps you to anonymously access the sites put on the block list by the organization. An IP address is your unique identification address when you are online. Basically, it helps to identify your location. This IP address gives an exact idea of your geographical location and can help track you. Your ISP or internet service provider uses the IP address to monitor your online activity. Now a free proxy list, which works like a VPN or VPN service, helps you keep your IP address anonymous. Now, in order to keep a tab on what your employees are doing online, organizations or educational institutes impose restrictions. They use proxy setting to achieve this. If you want to bypass such restrictions, you will require a browser proxy, or a free proxy list. This proxy list gives you a list of proxy IP addresses, and you can use them for anonymous web browsing. As the very name suggests, a free proxy list is one which masks your IP address. The moment you connect your device to the internet with the IP from the free proxy list, your original IP gets hidden. Why A VPN Over Free Proxy List? A proxy server acts as a middle man between your computer and the internet. Like a VPN, the free proxy list allows you to hide your identity. However, it risks does not offer encryption. Free proxy is also known as a public proxy. Someone creates a list of proxy servers that you can use without paying any charges. As they are run without any cost, people may opt for them. However, stability is a question here. At all the times, our system is under the threat of hacking or a data breach. Our system is full of sensitive data. Such data if leaked may mean massive losses for any individual. By using an unencrypted free proxy list, you are making your data vulnerable. It is always better to opt for a paid virtual private network or a VPN. 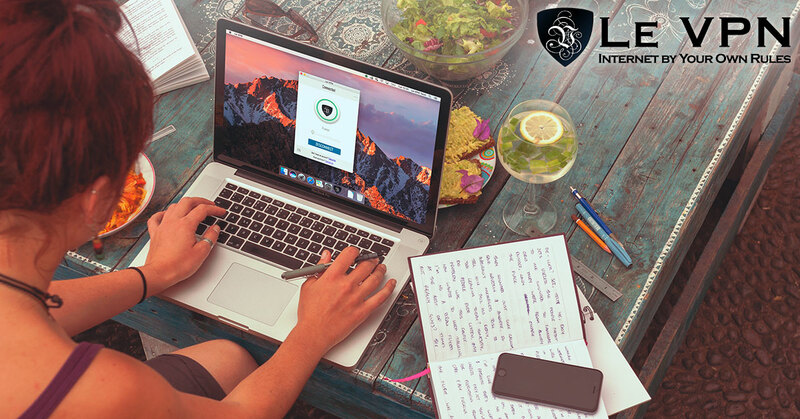 As already mentioned, you should opt for a reliable VPN provider, Le VPN. We protect the Internet connection. As a result, the data that travels between your computer and the point of destination is safe. Le VPN has VPN servers in 114 countries. You can pick the nation from Le VPN’s server list, and start using the internet securely. As a Le VPN user, you can easily switch between countries. Therefore, no one can detect your online activity and your original location. Now, a free proxy list would help you keep your identity anonymous and would conceal your IP address. But, the connection is not encrypted. And if you use a VPN router, you get Le VPN security for all the internet enabled devices within your home. Le VPN is very easy to use and an affordable VPN service provider. So, make a smart choice and subscribe to Le VPN.